The Perfect Opener is a must have for every kitchen and the last opener you'll ever need. A great looking tool that you can proudly display on your counter top for easy access, thanks to its stunning design and stylish colours. With this Opener Master (For Bottles and Cans), you can open almost anything without much effort. Comfortable in your hands Easy to handle with superior, attractive and ergonomic design. 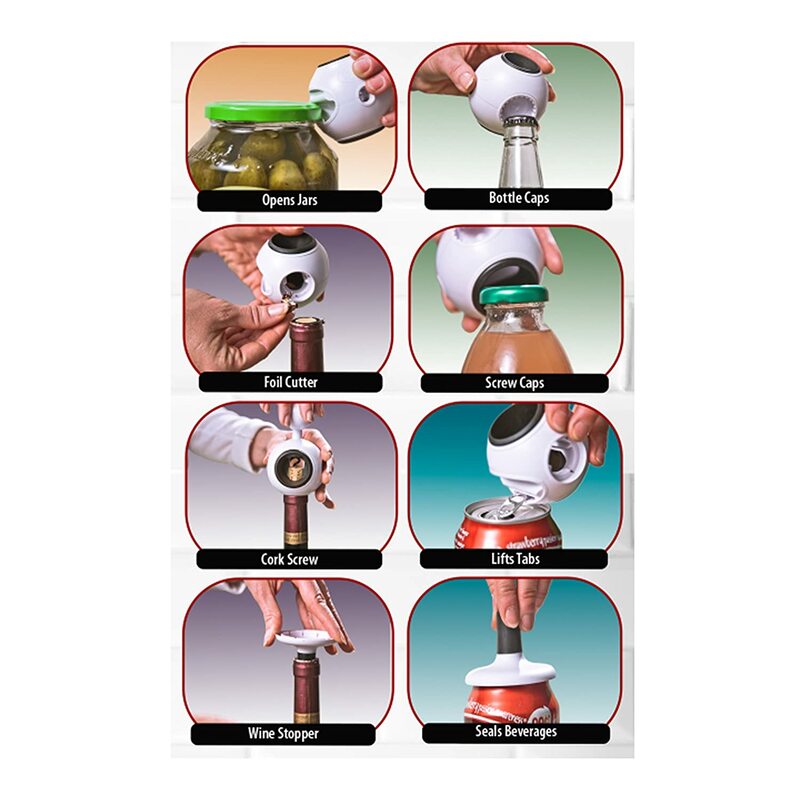 Can be used as a wine opener, beer opener, pop bottle opener, water bottles, Small, Medium, Large and Oversized Jars that have been vacuum sealed cans and tins with pull tabs Medicine bottles or caps.